Released for a Limited Time! 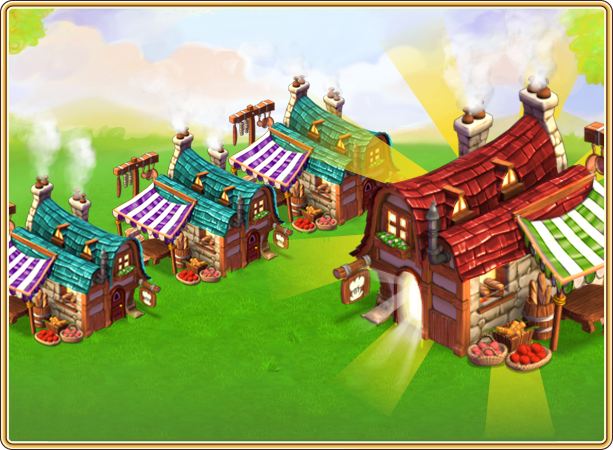 As it happened with the workshop, soon we will be able to add the 4th Kitchen in our kingdom. 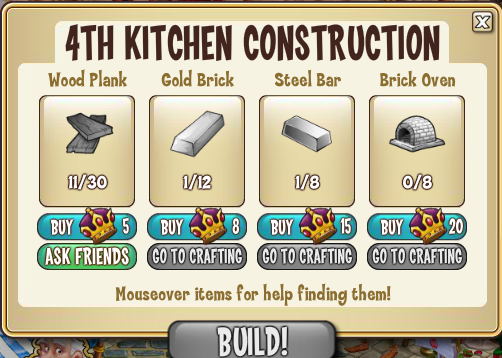 We will buy the kitchen in the market (it costs 10.000 coins) and then we need to build, collecting the required materials. Check below the materials required.